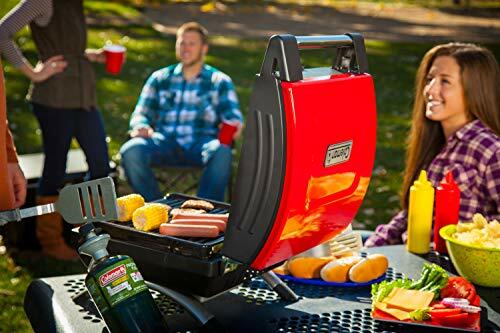 A portable grill is practically a “Must Have” item these days if you really want to make the most out of tailgating party, a beach trip, or a weekend spent camping. 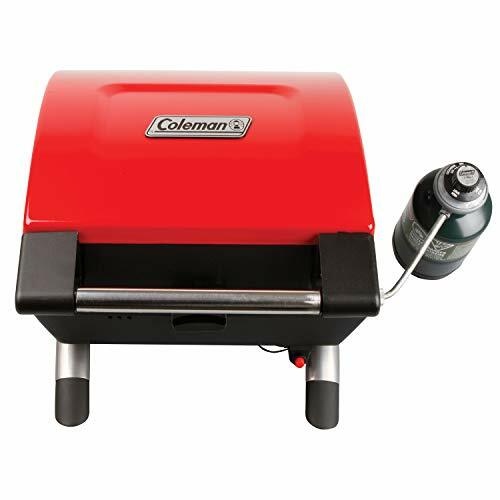 To answer this popular need, Coleman offers a line of gas grills. 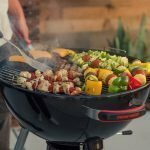 The breadth of their line is also influenced by the fact that a lot of places have restrictions or outright bans on charcoal grills. The Coleman 2000014017 NXT sits in the middle of the pack between the classic, yet often problematic “Classic Camp Stove” and the high-end “Road Trip” model. With that in mind, Coleman also made an effort to includes some modest design enhancements. With some smaller portable propane grills, wind and airflow can be a major problem. Sometimes a strong breeze can blow the element out or make it harder to control consistent heat. 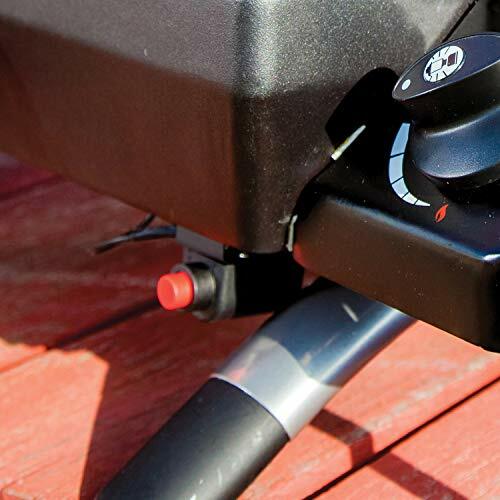 The Coleman NXT uses “Perfect Flow Technology” to better control airflow and reduce the chances of suffering wind issues during a grilling session. This means that when it is perfectly dialed in the NXT can deliver a hot 8.500 BTUs of heat. It also has an insta-start igniter to keep you from having to hassle with a lighter or matches. 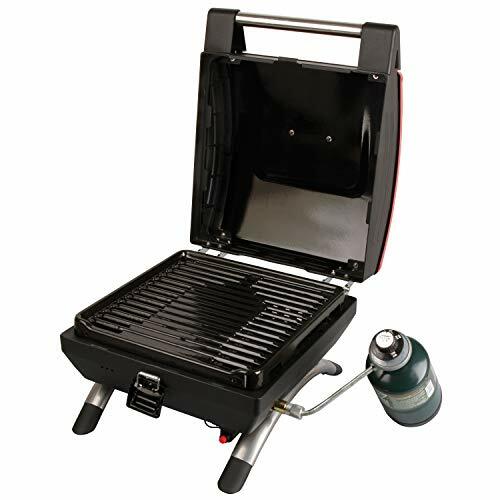 Coleman also realizes that when you are camping, a portable grill also needs to double as a camp stove or a griddle. In the past, you often had to sit a frying pan over the propane elements and give it time to heat up. With the Coleman NXT, you also get an interchangeable griddle top, which allows it to act just like a 2-in-1 camp stove and grill. When it comes to quality, Coleman isn’t blowing the doors off with the NXT portable gas grill. The legs can be a little wobbly, but you can help reduce this by having someone gently press down on the top when you are assembling it. Then fasten them tightly. The so-call “Perfect Flow Technology” is an improvement over past gas grills in this category. Still, don’t expect it to perfectly resist a strong gust, and you are always going to be dealing with hot and cold spots. That’s just par for the course with a smaller gas grill. All told the assembly process is pretty quick and straight forward. Recruit someone to help you and you should be able to have the Coleman NXT together in a little over half an hour. The NXT doesn’t collapse or fold up in any appreciable way. This isn’t necessarily a drawback, as you see the same issue with other small gas grills in this class. Yet if they would have included some feature like that, it would put the 20-pound NXT a step ahead of the competition. The NXT is originally set up to use 1-pound propane tanks. If you want to run it to a larger tank you will need to go to the hardware store and pick up a special hose for it. If for some reason, you are interested in fueling the grill with natural gas, there is no conversion kit available. 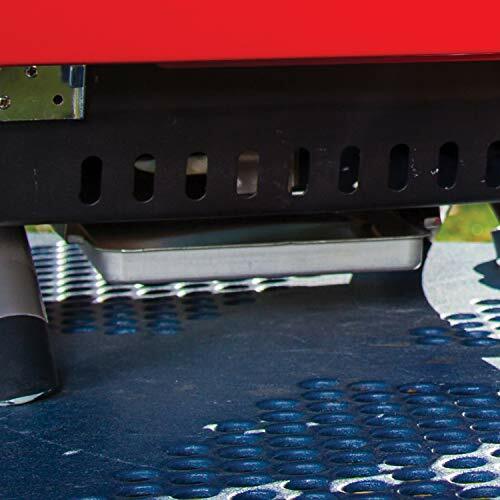 Small, portable gas grills are just always going to have hot and cold spots. That’s nothing new and shouldn’t be shocking. 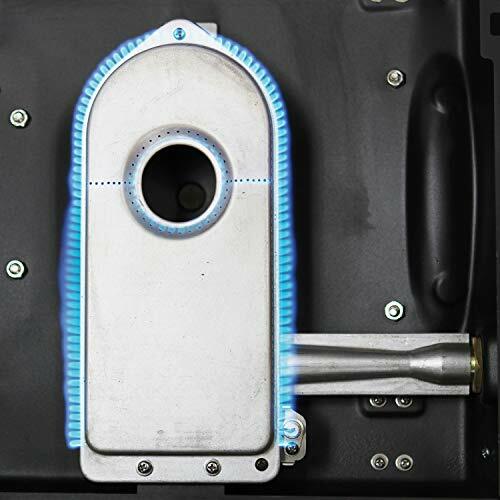 The relatively small distance between the propane burner element and the grill grate can easily lead to burning issues. If you are having a hard time dialing in the heat, you might want to switch over to the griddle surface. Then give it a little extra time to fully preheat. If you have a cast iron pan or griddle, you might want to also use it to absorb and evenly distribute the high heat of the flame. Both the griddle and the grill grate measure in at 168 square inches. If you set everything just right, it can prepare a meal for up to four people. The Perfect Flow Technology design helps eliminate blow-out issues from the wind. Just don’t expect it to work perfectly in all windy conditions. The Insta-start igniter is a nice little feature for starting the propane burner. 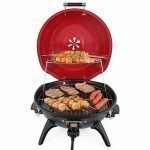 This isn’t a feature that you find in a lot of other portable gas grills in this category. Since it’s relatively small the Coleman NXT is relatively easy to clean. You just need to scrape down the grill grates with a wire brush. If you are using the griddle, it’s probably better to use a nylon bristled grill brush just to reduce the chances of scraping it up. The dripping’s tray is rather large given the basic size of the grill. It’s easy to remove and pour away. You can then wash it with a little warm soapy water. Just keep an eye on the drippings tray when you insert it back into place. If it’s not perfectly aligned, you could end up with some renegade drips escaping from the bottom of the grill. The Coleman NXT comes with a three-year limited warranty from the date of the original purchase. Just make sure that you keep the receipt, as they will require you to present it in some form, should you need to redeem the warranty. 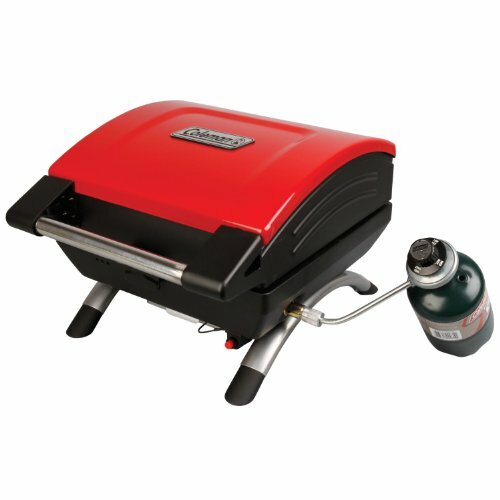 This warranty is a step above what competitors offer for a similar gas grill. 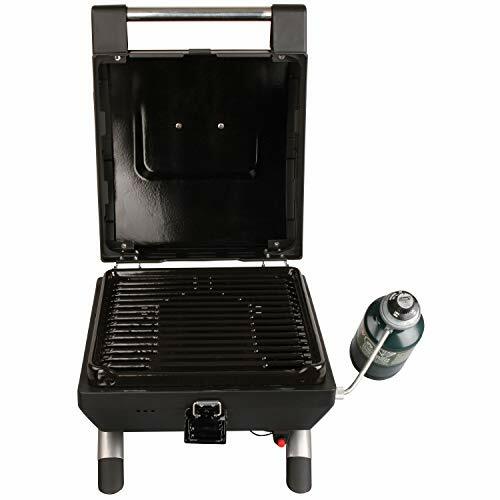 If you are in the market for a portable gas grill that is a step above the cheap models, yet still doesn’t have a price tag that will break the bank, then you should consider the Coleman NXT. Just keep in mind that it’s not going to wow you, and if it’s a conversation piece while you sit around the campfire, then it means you’ve had a pretty quiet day. If you are struggling with heat control, try using the griddle insert or place a cast iron frying pan over the burner element.